This particular lanyard uses cable at a length of 3.6m and features a steel snaphook. 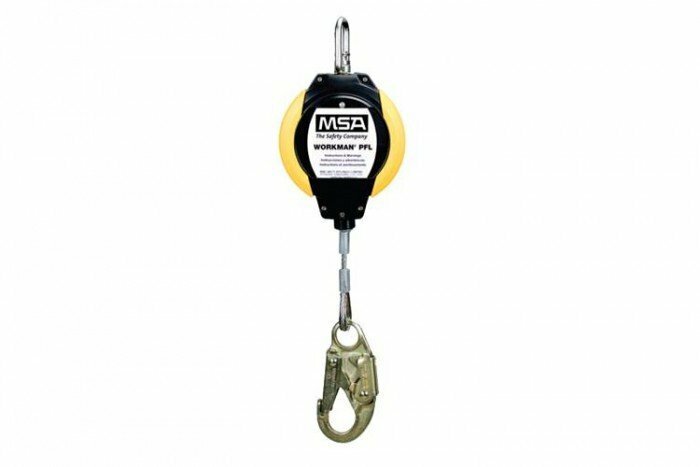 The Workman PFL is part of a range of fall arrest equipment from MSA. Its features include an integral load indicator, integral swivel at PFL/SRL connector and a durable, engineered thermoplastic housing. This product is certified to EN 360.